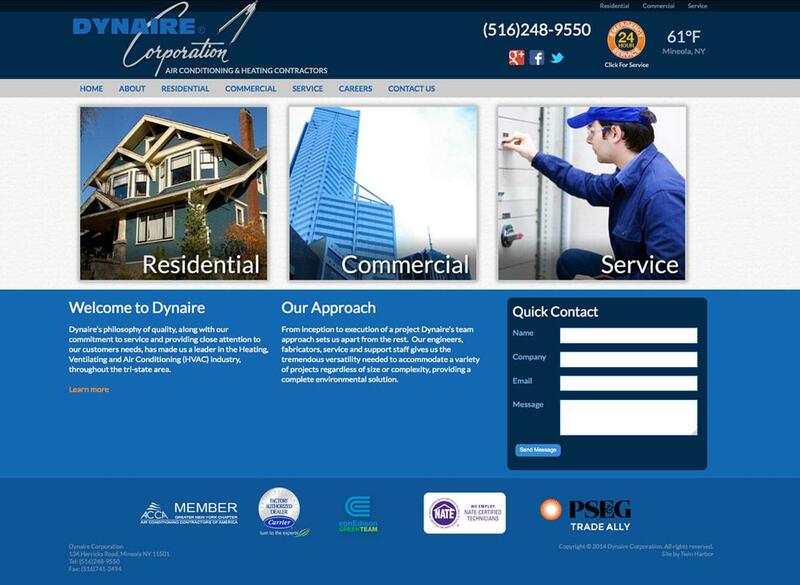 Dynaire's site was created to not only bring their brand image up to date, but also to provide a large quantity of consumer content. The site is organized into two sections, Residential and Commercial. From there, special offers, product and service information are carefully organized so while there is a lot of content, it remains easy to navigate. The site is also responsive and has a carefully planned navigation structure to ensure ease of use even on mobile devices.